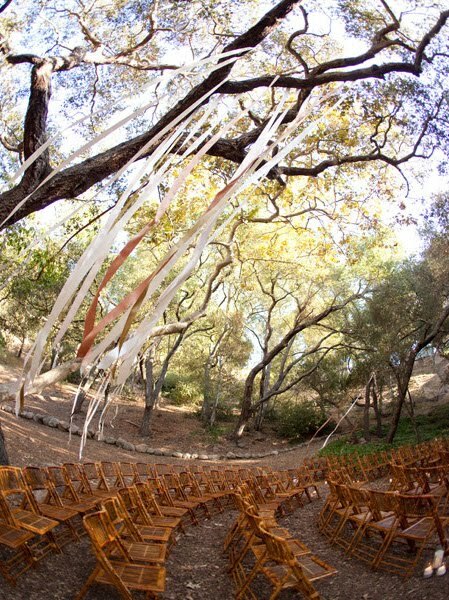 I've seen a lot of weddings with ribbons, but this one takes the cake! I know you can't plan for a gentle breeze to delicately move the ribbons, but what a magical difference it makes. I love the soft colors, the wooden chairs, the trees... everything is just perfect.